Just another case of outdoor advertising companies doing what they want in our public space. If they can so blatantly disregard the law I don't see why I can't do the same thing. the next post will be a response. 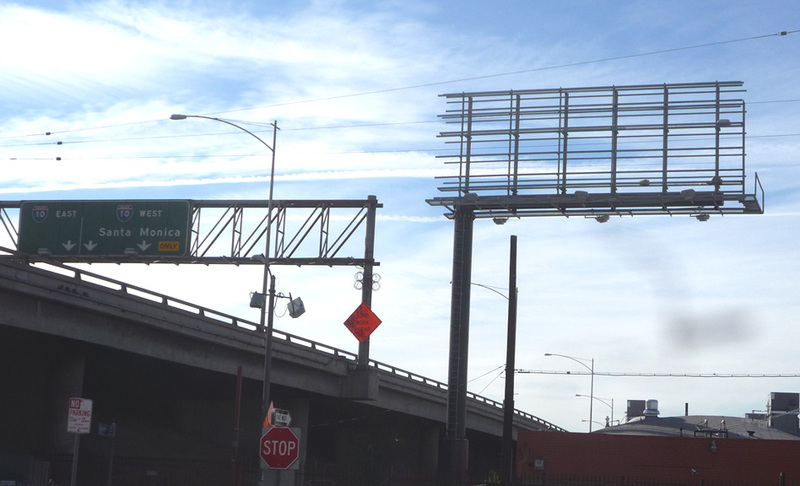 As an early Christmas present to the city, a Los Angeles company has put up three full-sized, double-sided billboards alongside the 110 freeway downtown. 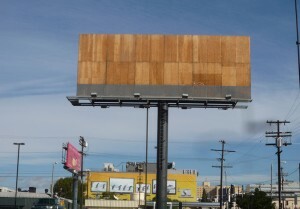 Coming on the heels of the city council passage of a three-month moratorium on approvals of new billboards, the structures looming some sixty feet high were not permitted or inspected by the Department of Building and Safety, and were apparently erected over a single weekend. 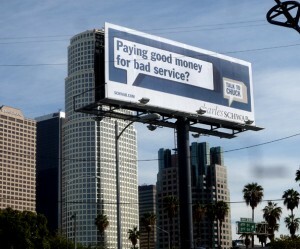 The billboards bear no company name, but are identical to a billboard put up the same area last year by L.A. Outdoor Advertising, also without any required permits or inspections. 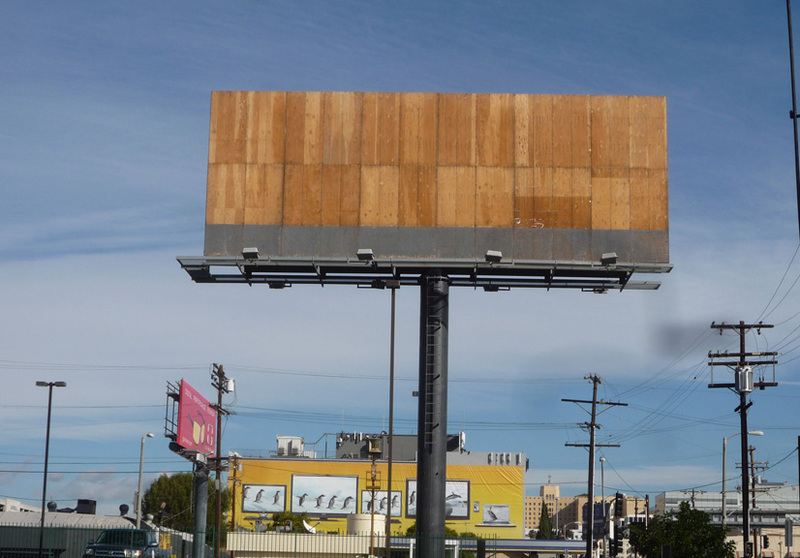 That billboard was ordered removed, and at an appeal hearing, Andrew Adelman, head of Building and Safety, said it was the most blatant case of disregarding city codes he had seen in his years with the department. The company subsequently filed a lawsuit against the city, challenging the constitutionality of its ban on new billboards. 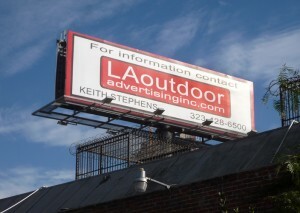 Keith Stephens, president of the company, was interviewed on KCET’s recent “Billboard Confidential” and claimed that the city was unfairly discriminating against his company because it had allowed larger companies to put up new billboards and supergraphic signs in special Sign Supplemental Use Districts and as part of community redevelopment agreements. The multi-ton billboard structures would normally require the submission of structural drawings and calculations, and the foundations for the supporting columns would be inspected for proper depth and steel reinforcement before any concrete was placed. 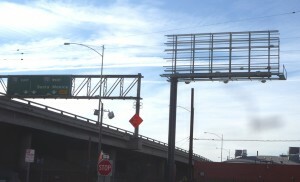 One of the billboards, at 11th and Blaine Streets, appears to be no more than 20 feet from the edge of the freeway. 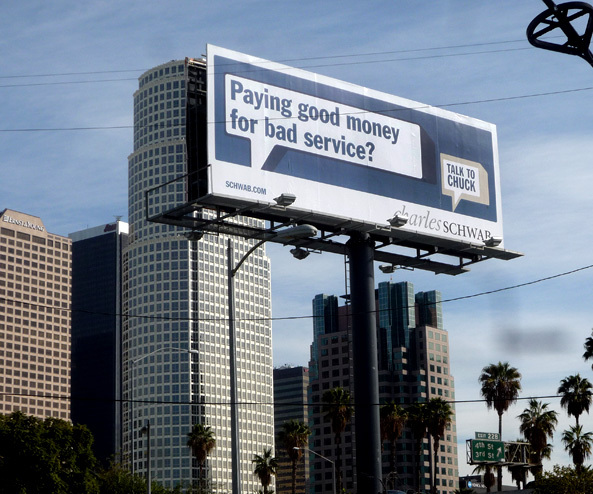 One of the billboards, at the site of the Plumbers Union Local 78 on James Woods Blvd., is displaying advertising, but the other two have not yet been put into service.